Mira Bai was an Indian poet born in 1498 who created over a thousand bhajans, or sacred songs, that are still popular in the country today. Most of her history, and a good part of her myth, was handed down over the years through the oral tradition. 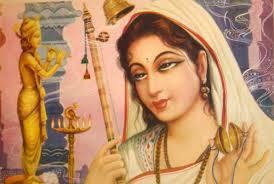 She was considered a Hindu mystic and a devotee of the 8th incarnation of Vishnu, known as Krishna. 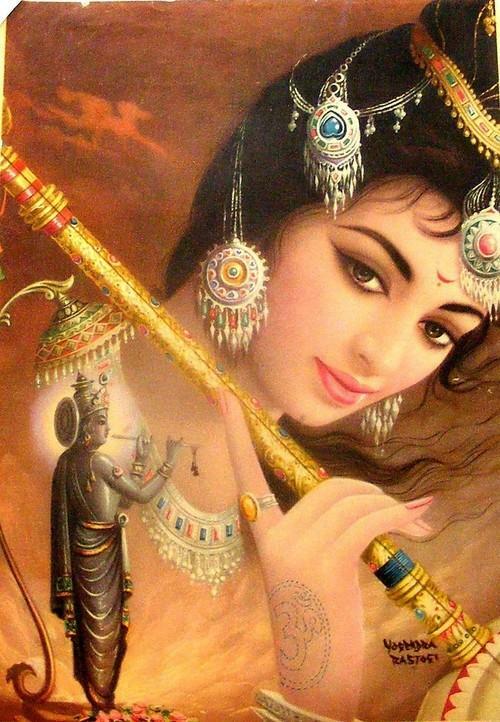 Her poetry reflects this unconditional devotion to the divine and promotes Krishna Bhakti as a way of living that is responsible for allowing followers to forget their desires. 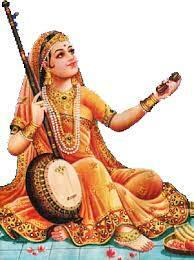 Born into Indian royalty, her father was related to Rao Jodha who founded Jodhpur, the second largest in Rajasthan. 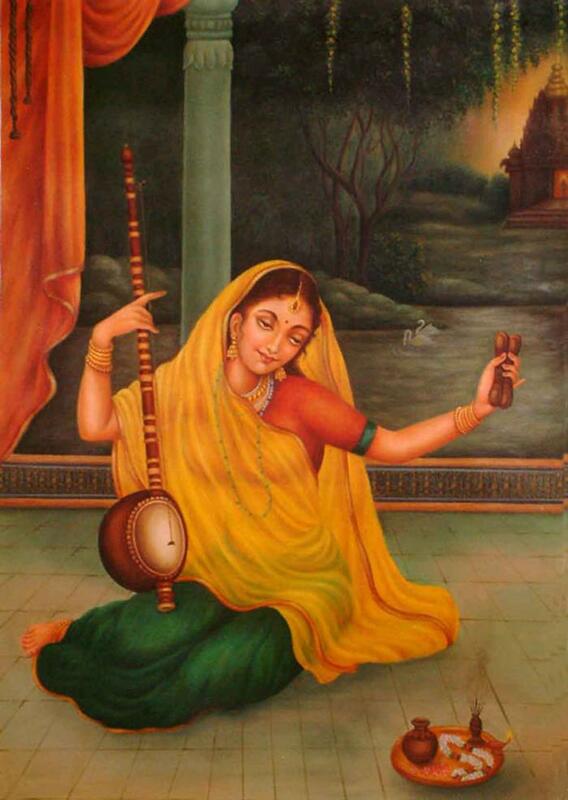 Her mother died during childbirth, most probably when Mira Bai was a young girl of around 8. She was betrothed to the ruler of Chittor but Mira Bai already believed that she was married to Krishna and had no real interest in this earth bound man. It was not a long marriage; her husband died in battle sometime around 1521. 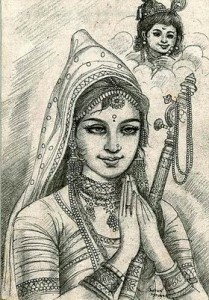 Although she was protected by her father-in-law for a while, after her husband’s death, the rest of the family set about persecuting Mira Bai which, despite the hardship, caused her faith and devotion to Krishna to strengthen considerably. 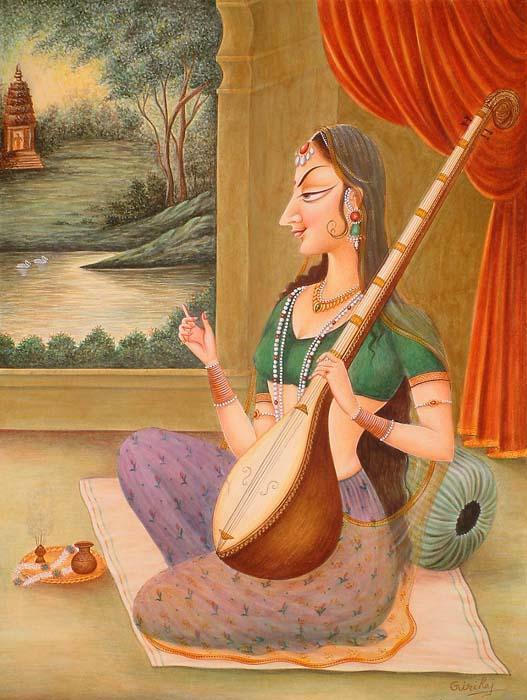 Her zeal knew no bounds and Mira Bai would take to singing and dancing with other followers. 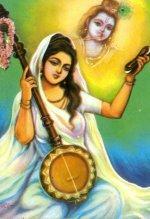 Previously she had kept her devotion secret, sneaking out of the fort in Chittor to meet with Krishna followers in town. It did not garner her many admirers within royal circles. Her brother-in-law, notable mostly for his cruelty, thought that this showed a lack of modesty and he spent his time trying to kill her and spreading malicious gossip about her. 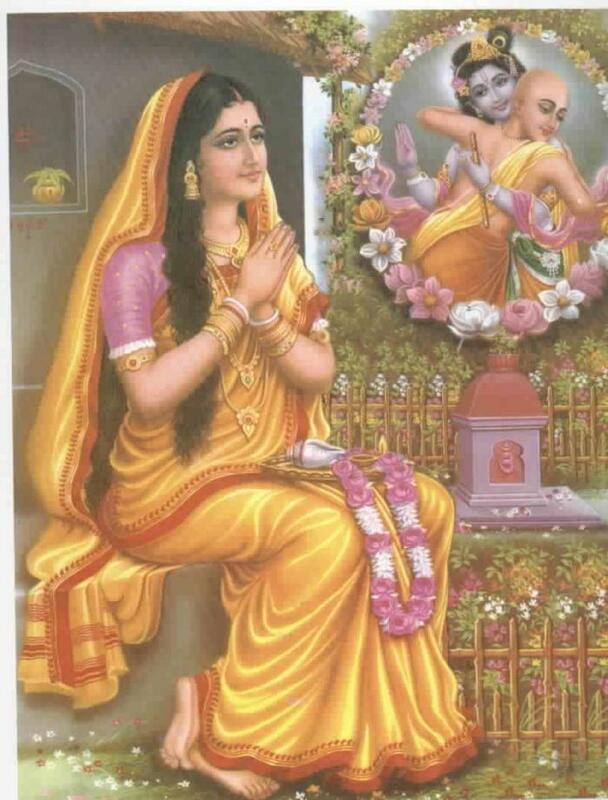 This period is also rife with legends such as the time that her brother-in-law forced her to drink poison but she was saved by Krishna himself. 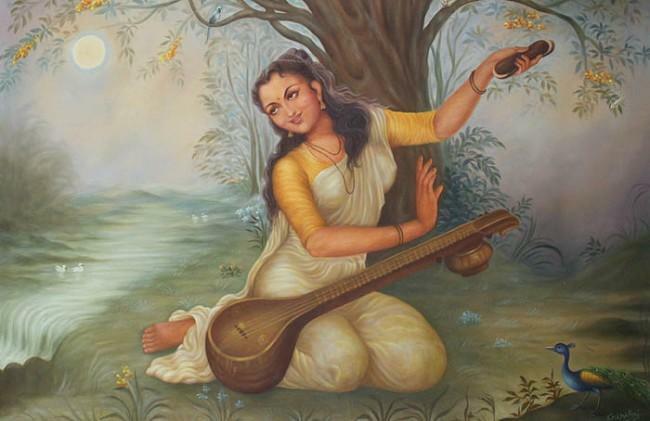 She moved away from Chittor and continued her strong devotion to Krishna, roaming from village to village and dancing in public. Her death is also shrouded in mystery and religious symbolism. 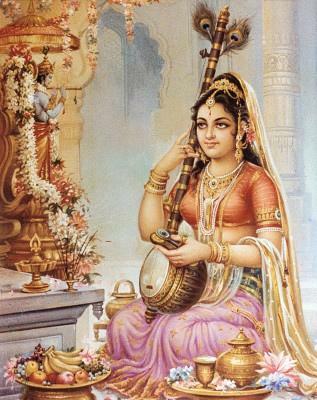 Whilst at the singing at a temple it is said she melted into the very heart of Krishna.